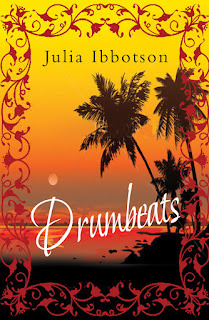 The next guest on my Wine and Chocolate blog is a dear friend and fellow member of the Birmingham and Leicester Chapters of the Romantic Novelists’ Association, Julia Ibbotson. Make yourself comfy, Julia, and help yourself to some wine. And chocolates too, of course! Thank you for inviting me, Anne. Mmm, Prosecco and dark chocs, yummy – how did you know my favourites? Didn’t take much guessing! You’re a writer! Tell me, how did you first come to write? I don’t remember a time when I haven’t written: I wrote my first novel at age 10, in a stack of exercise books. It was called The Ravine and was about horses, dogs and farms with adventures and mysteries to solve. It was never published though! Subsequently I wrote research papers and texts in my role as a senior university lecturer but didn’t enjoy the formulaic structure and style. I published my first creative book (The Old Rectory: escape to a country kitchen) after a professional conference in Australia when the other delegates urged me to write about the period village house we’d just moved in to, and the ‘Midsomer Murders’ they decided typified the little English village. I loved getting back to creativity again. And the rest is history! I mainly write historical and contemporary romance, time-slip, and children’s novels (9-14 age group). I’m fascinated by the concept of time, quantum mechanics and parallel universes. Even in Drumbeats, set in 1960s Ghana, I have a time-mystical element weaving through the story, the village drumbeats which haunt Jess’s dreams. That motif continues through the rest of the trilogy, Walking in the Rain and Finding Jess. And it’s especially evident in my latest book. Ah yes, what are you currently working on? I am completing the edits on my latest book, A Shape on the Air, which is a time-slip/ merging of worlds between the present day and the dark ages (499 AD). The protagonist, Dr Viv DuLac becomes embroiled in a quest to save both worlds 1500 years apart. I’m also working on finishing Finding Jess. Sounds fascinating. I love time-slip novels! Tell me, do you have a dedicated working space? Yes, I have a study at the back of the house with all my bookshelves and filing cabinets but I prefer to work at my antique desk in our conservatory because I can feel that I’m almost outside as I look over our gardens and fields. I hate being indoors! I’m really an outdoor person. I take my coffee and lunch outside whenever possible. And I sustain myself with plenty of said coffee, herbal tea, and, of course, wine and chocolate. Oh, I’d love a conservatory! Sadly, we don’t have space for one. Now, what sort of books do you read for pleasure? Oh, I have so many I love. I grew up on Jane Austen, but I love contemporary authors too, like Jodie Picoult, Tracy Chevalier, Kate Atkinson, and Lisa Genova. I also adore the 17th century London books of C S Quinn, and of course the glorious Grantchester series by James Runcie with the delectable Rev Sidney Chambers. I like books that make me think and that are well written with interesting narrative structures, ones you can really talk about afterwards. Many passions, actually, Anne! I love reading, hiking in the beautiful countryside around our home, swimming, hatha yoga, choral singing (I belong to Rock Choir and a local classical choir), and music. I like entertaining, cooking and baking for family and friends. I adore travelling, staying in our apartment in Madeira, where we walk, swim and sail, and exploring new locations around the world. There is so much to see and so many other cultures to discover. Thanks, Julia, for sharing so much with us. It’s been lovely. Thank you for having me, Anne; I enjoyed our chat - and maybe just one more glass of Prosecco …?